Recently I was lucky to be chosen to work with Saal Digital as a product tester. 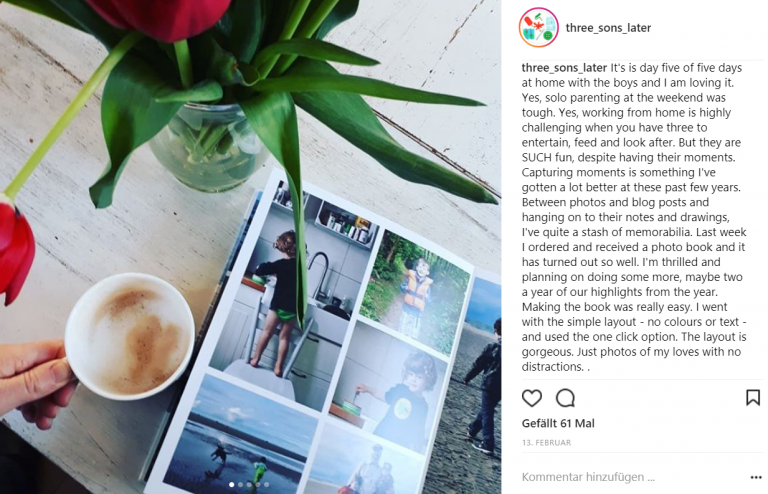 Back in February I tested their photo books and was delighted with the end result – a book of my favourite family photos from 2017. I’d become very lazy about printing out photos and their photo book was an ideal quick fix for me. 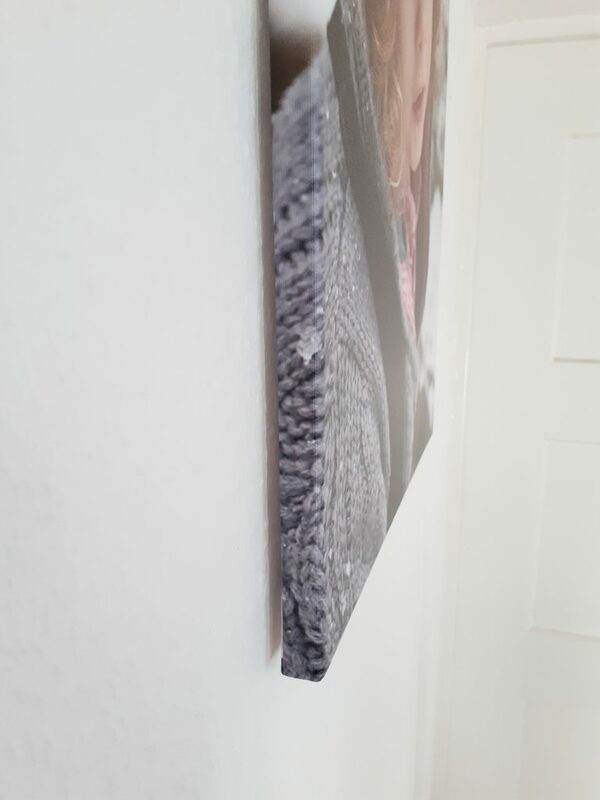 Last week Saal Digital asked me whether I would be interested in trying out one of their wall-mounted photo canvases. Until last year I would have turned that down. Any photos printed to canvas that I had seen looked nothing like as good as a good, old-fashioned photo. 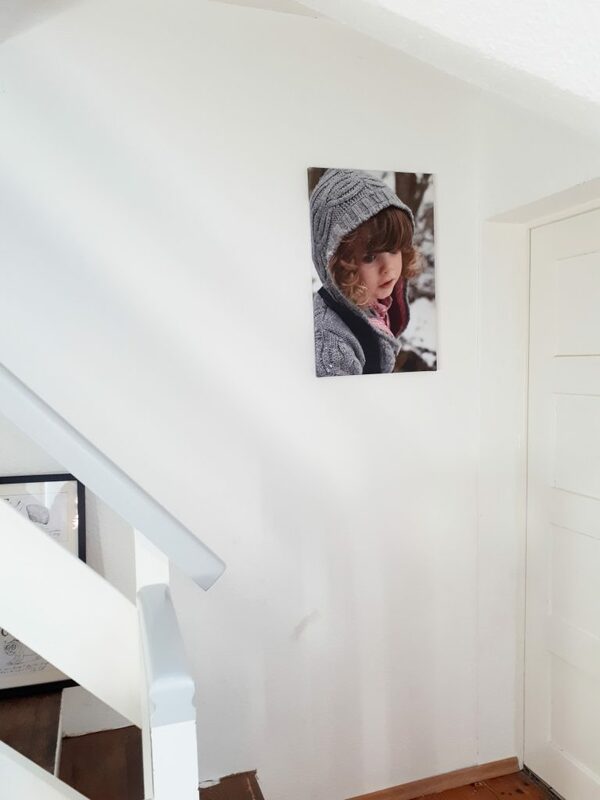 Then one day I was visiting a friend with a beautifully decorated house and there on the wall she had two new photo canvases. They looked smashing. So, when Saal Digital asked, I looked up their range, checked out the options and I said yes. Ordering was easy. While away in the Black Forest for my birthday I took some great shots of our youngest playing in the snow. He was so consumed by the snow, he didn’t notice the camera and I came away with shots of the awe and wonder in his face. 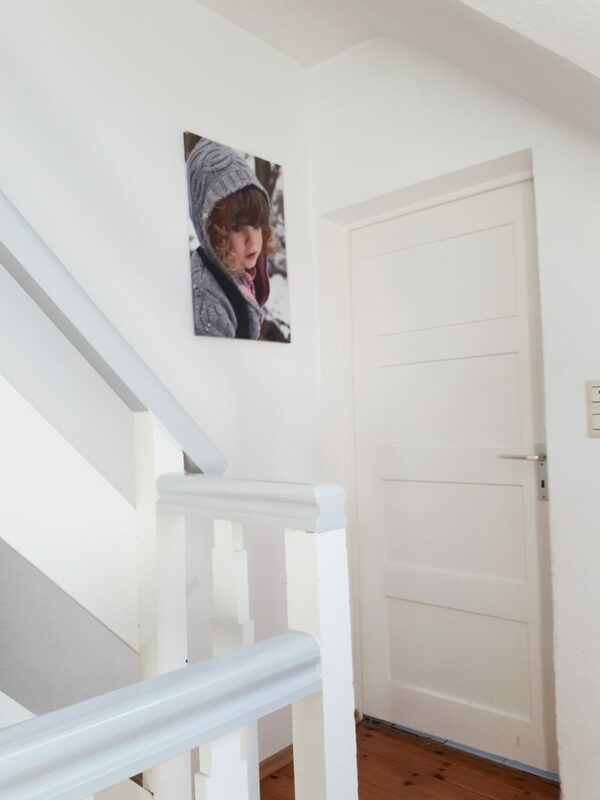 Once I had decided on the photo, all I had to do was choose the size of picture and the type of canvas, upload the photo and enter my delivery address. Within a couple of hours the order was dispatched and it arrived with me the following day. The packaging was very impressive, being a very stable combination of foam and strong cardboard. 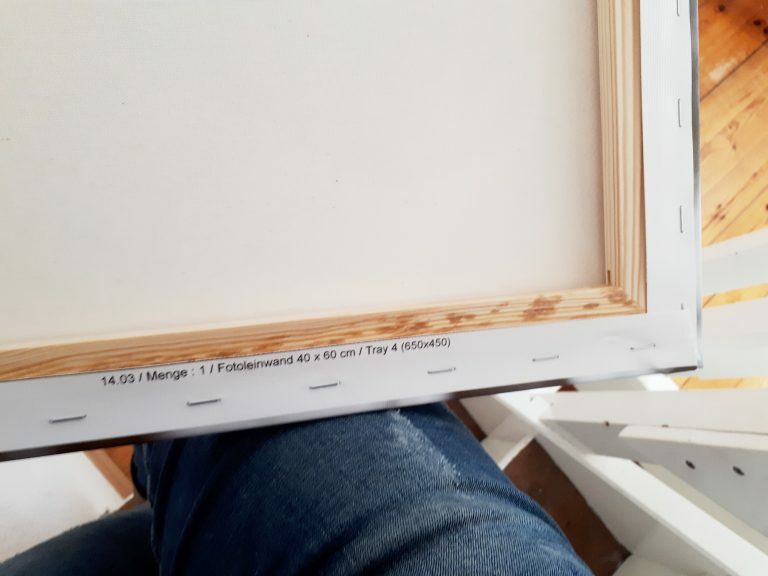 Within the packaging there is a bag of bits and bobs to help hang the picture and strengthen the corners from behind. I’m thrilled to have this portrait of my baby who is speeding into boyhood at an alarming rate. Even in the two months since the photo was taken, he has gone from being baby-faced and cherub like to being able to pour his own milk and cycle a peddle bike. 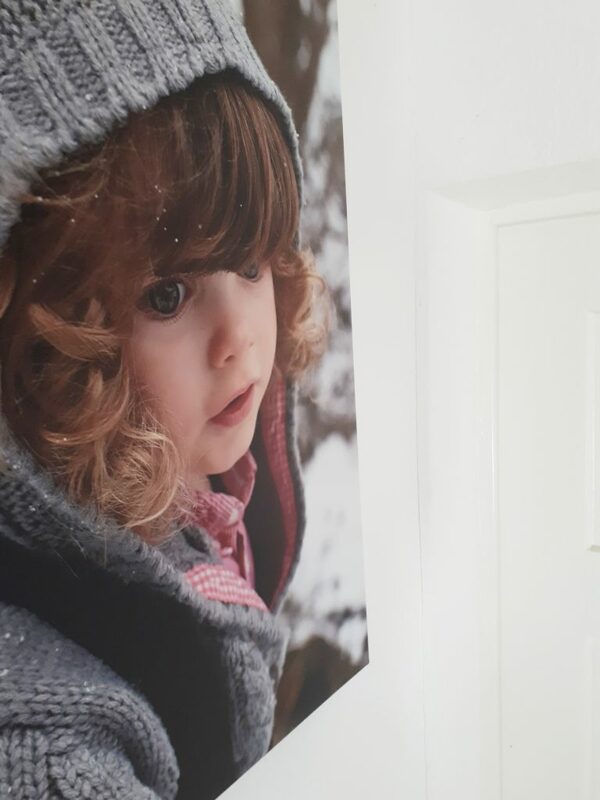 Thanks to my Saal Digital canvas I can always see those eyes and curls, no matter how big and capable my baby gets. Thanks Julia. He makes a great subject.